Hypoallergenic Dogs Breeds are dogs that don’t shed or shed less compared to all other dogs. They are clean and ideal to keep in an apartment as there will be less hair and dander on the bed, sofa and in the carpets. Affenpinschers charm owners with spirited antics. Active indoors, the breed sheds less and does well in an apartment. Generally good with children and other pets, Affiepinschers are intelligent with a streak of stubbornness. Looking for a small, entertaining watchdog that sheds less? The Australian Terrier is ideal. 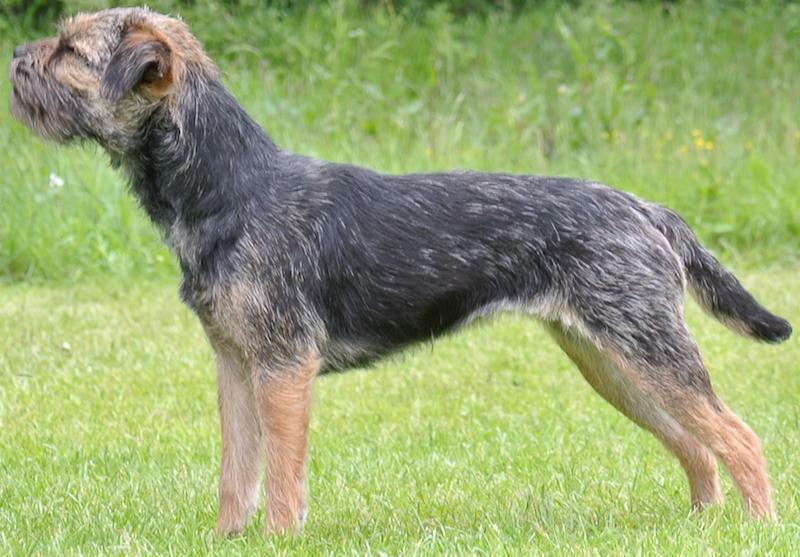 The Australians created this breed from several terriers. 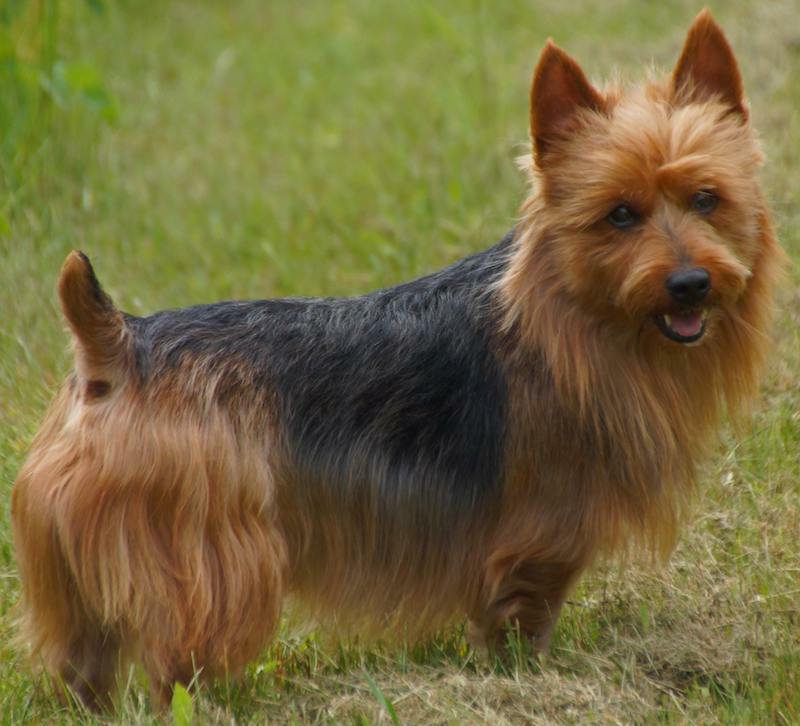 The Australian Terrier’s coarse-haired coat and topknot make this dapper dog easy to care for with a good brushing and some light trimming. The Basenji is clean and sheds less. 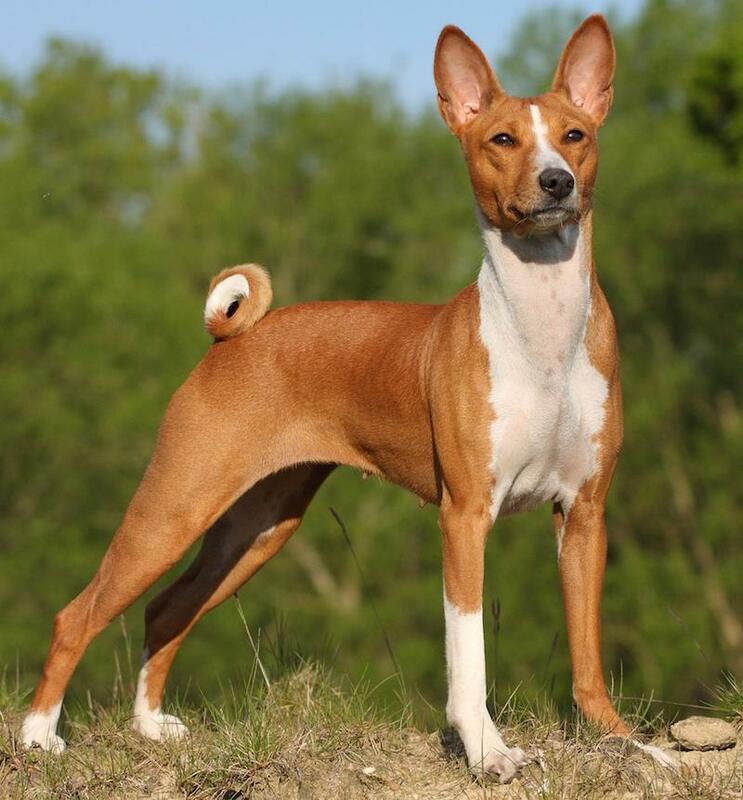 Although known for not barking, the Basenji yodels, mumbles, whimpers, chortles and can even screech like a siren. This intelligent and active dog is best for experienced dog owners. 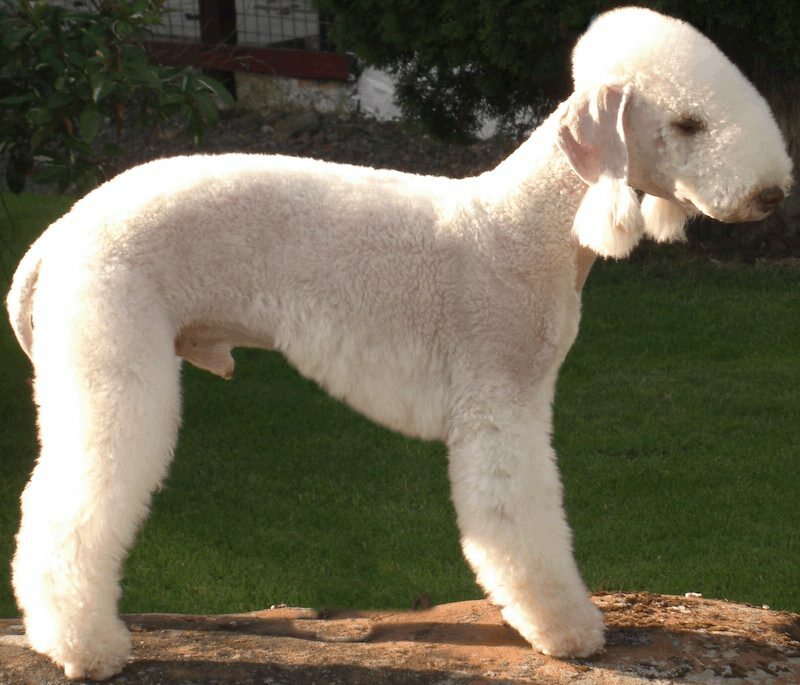 Bedlington Terrier are non-shedding dogs. The breed typically has a mild and gentle temperament, but he can also be full of energy. Some say that this medium-sized dog has a lamblike appearance. This breed was favored by the French nobility during the 1500s, but had become a common companion in France by 1800. 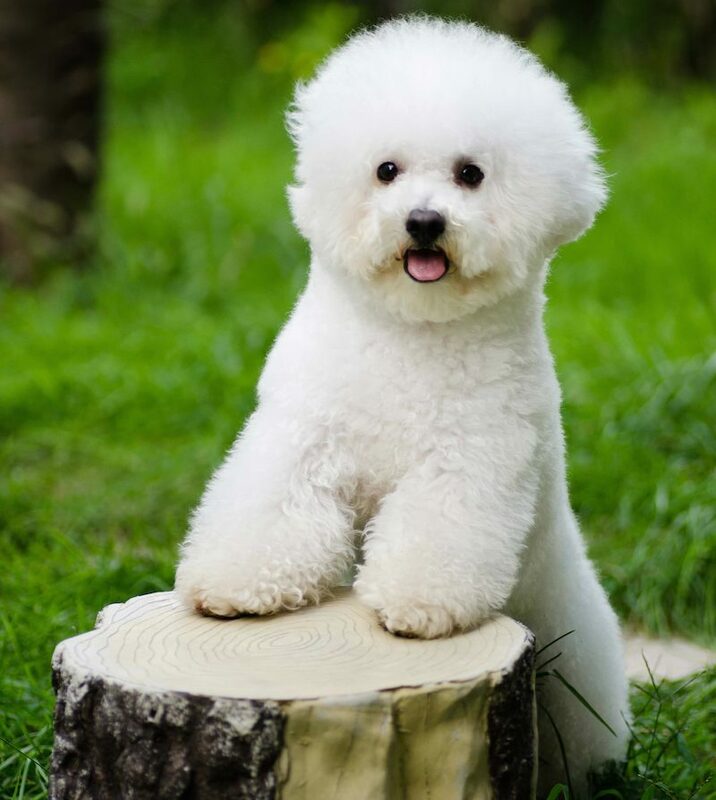 Most note the dog’s powder puff appearance at first glance, but the Bichon Frise is a sturdy, playful hypoallergenic breed known for a cheerful and affectionate temperament. One of England’s oldest terrier breeds, the Border Terrier does well with children and other dogs, but he views small animals as prey. This breed’s alert, active and affectionate nature makes him a favorite with active individuals or families. The small, sturdy Border Terrier breed sheds less. This full-of-personality toy dog breed comes in two different coats: rough or smooth. Whether smooth-coated or rough, the Griffon sheds little hair. The rough is dense and wiry and the smooth is short and straight. 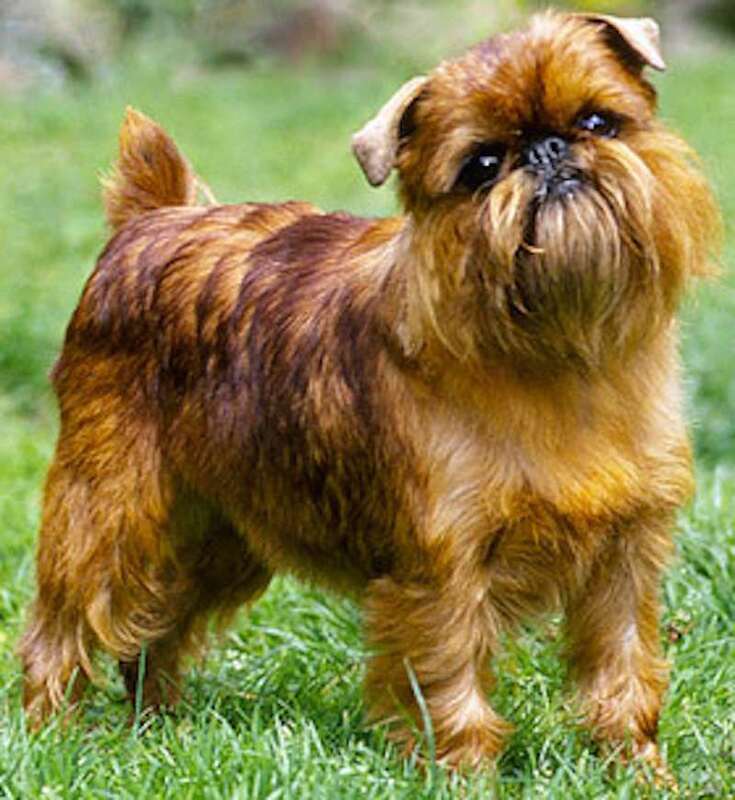 The Brussels Griffon’s intelligence and confidence can make him more challenging to train for inexperienced dog owners. This friendly and lively terrier craves affection and gets along with other animals and children. 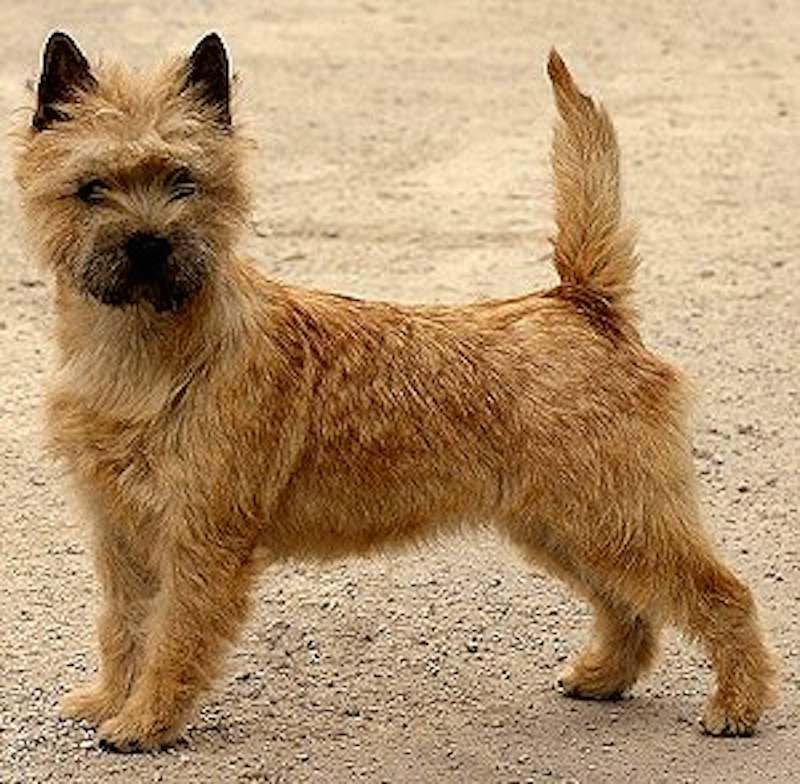 A good family dog, the Cairn Terrier is a small dog. Most people know this breed because one played the part of Toto in the Wizard of Oz. Cairn Terriers shed very little but should always be hand stripped. Using scissors or shears can ruin the dog’s rugged outer coat. Hand stripping involves pulling the old dead hair out by the roots. 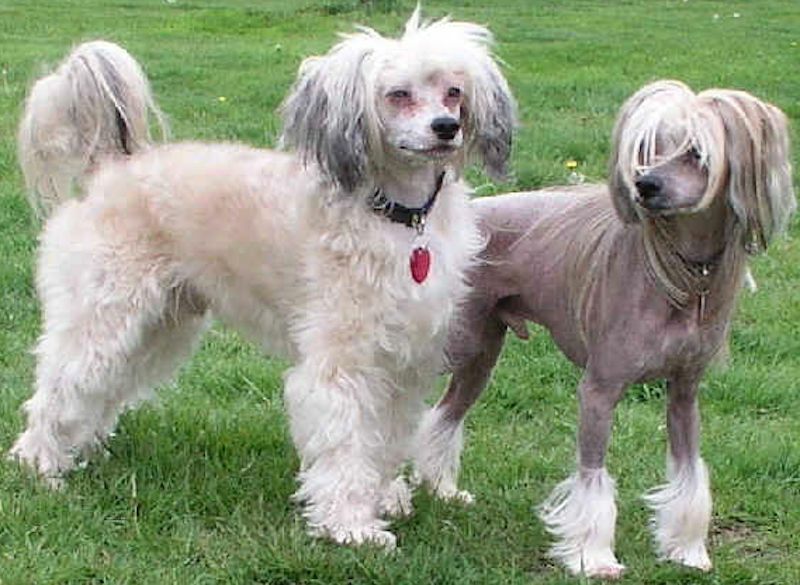 Along with being small, fine-boned, active and playful, the Chinese Crested comes in two distinctive varieties: the hairless and the powderpuff. The hairless has special skin care needs, such as protection from the sun. Socialize this dog breed and it will do well with children and other animals. These dogs shed little to no hair and are great for allergy sufferers. This cheerful, playful small dog was named for Madagascar’s port city of Tulear. 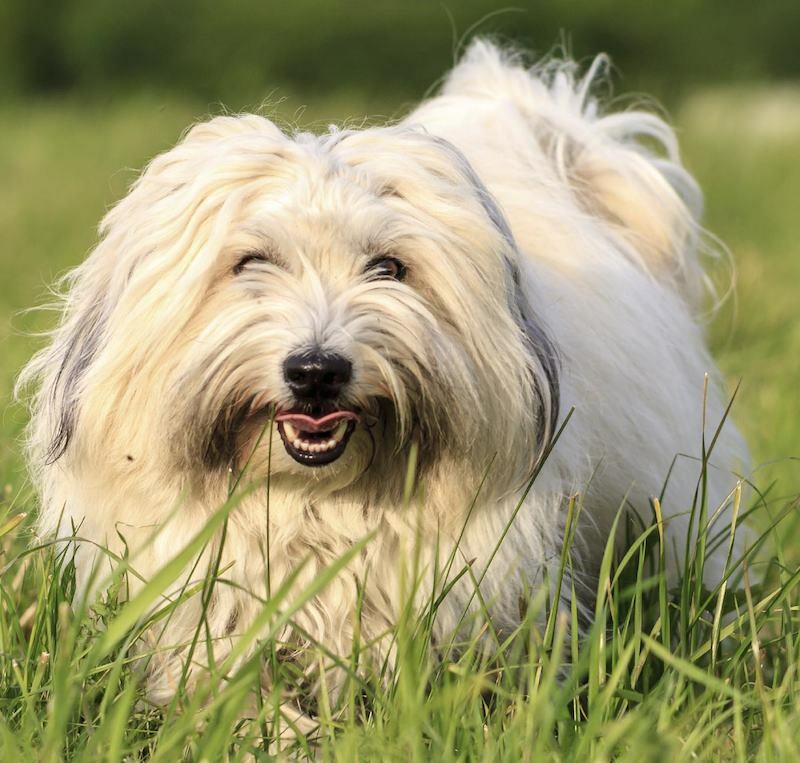 The Coton de Tulear has a beautiful, soft, cotton-like coat. He is more commonly seen in the white color variety, although there is also particolor and a black and white variety. Sheds very lightly (one of the best breeds for allergy sufferers). First kept as a companion by the Cuban aristocracy, this breed became popular with the middle class and was brought to the United States with Cuban refugees after the 1959 revolution. Attentive, intelligent and trainable, the friendly Havanese makes a quiet and gentle pet. 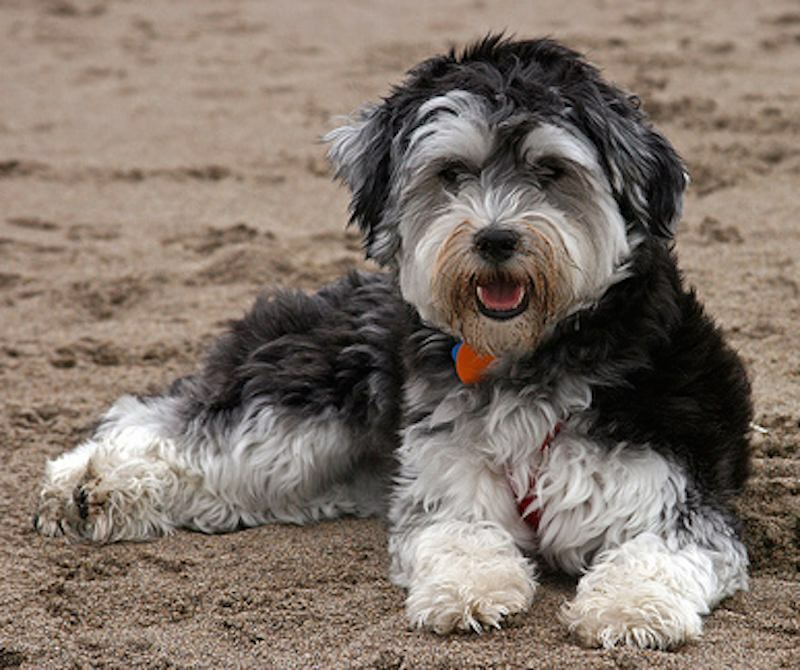 The Havanese coat is thick but silky, soft, and light, and it doesn’t shed easily. 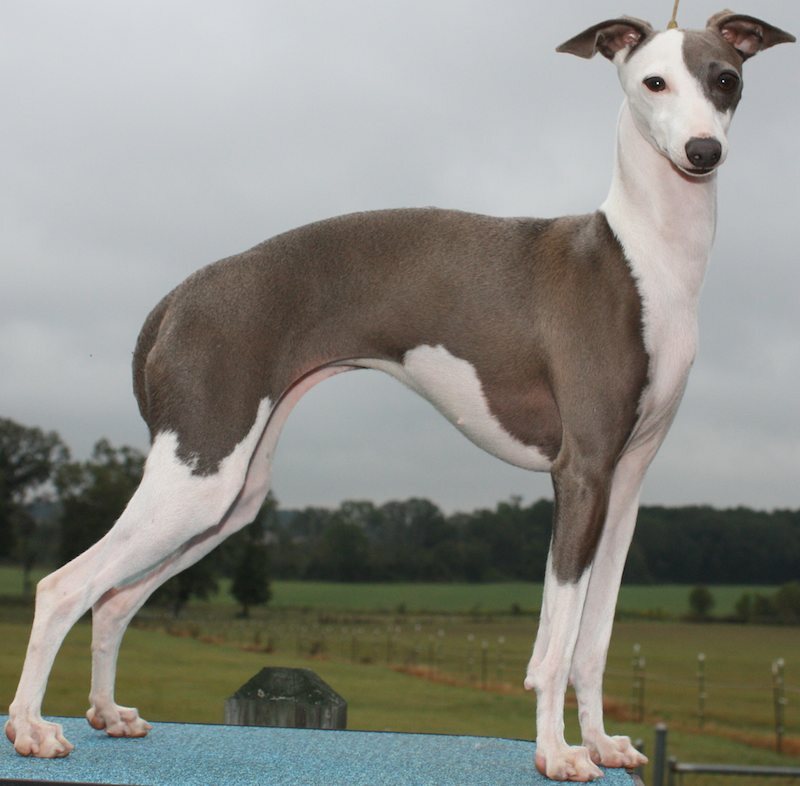 The small, finely boned Italian Greyhound does well with an individual owner or a family with older children. His short, smooth coat comes in many colors, such as blue, fawn, seal, red and white. This affectionate breed likes attention. The Italian Greyhound doesn’t shed very much (though is not a hypoallergenic breed). Looking for a clean apartment dog that doesn’t shed? This breed is the best apartment dog. 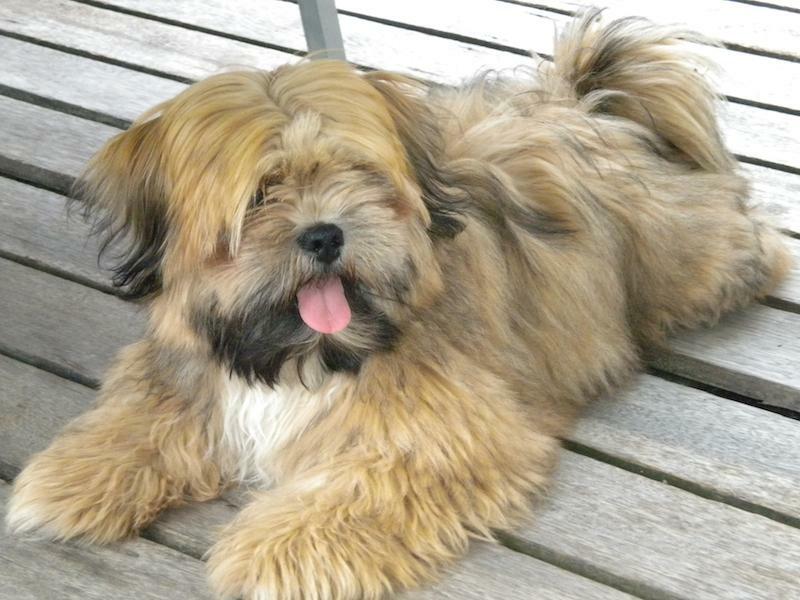 The Lhasa Apso is wary of strangers, although affectionate with his owner and friends – a very good watchdog. This small, white breed is quite fearless considering his size. He trusts his friends but can be wary of strangers. 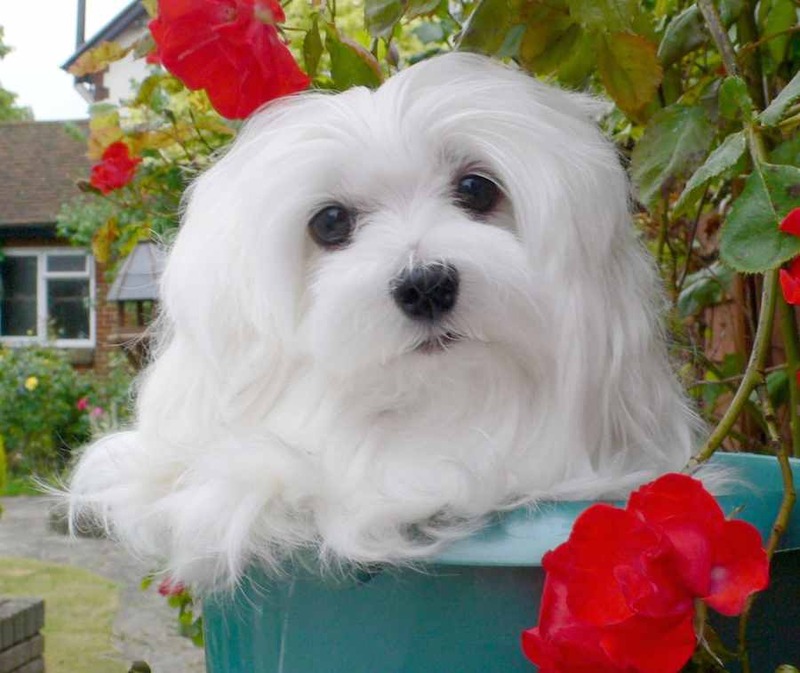 The affectionate and playful Maltese has a silky, flat coat hanging to either side of the body from a center part. Maltese don’t have the undercoat typical to many breeds and don’t shed much. This small, sturdy and square dog resembles the Standard Schnauzer from which the breed was developed. The Miniature Schnauzer weighs around 14 to 18 pounds. Alertness, spirit, loyal and intelligent are just a few of the words used to describe this breed. 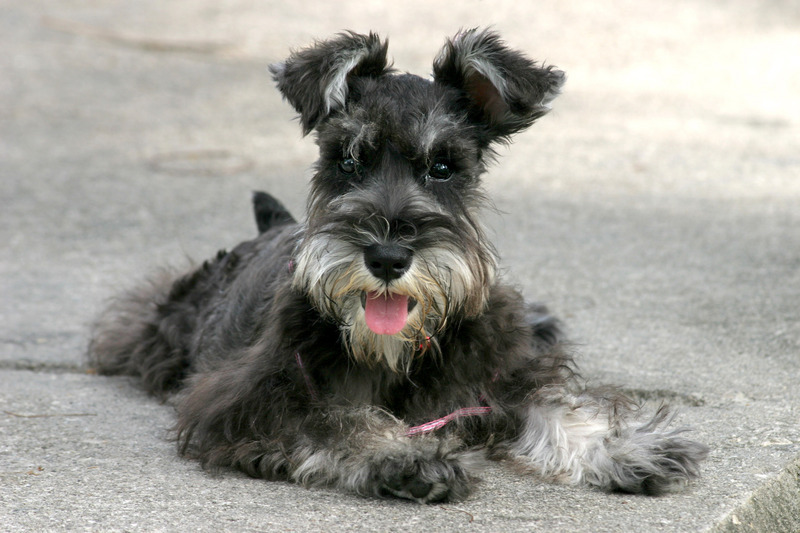 Miniature Schnauzers are non-shedding and have very little dog odor. Known for a flowing, long and dense coat and long hair tied in a top knot on the head, the Shih Tzu is a trusting and friendly dog breed. 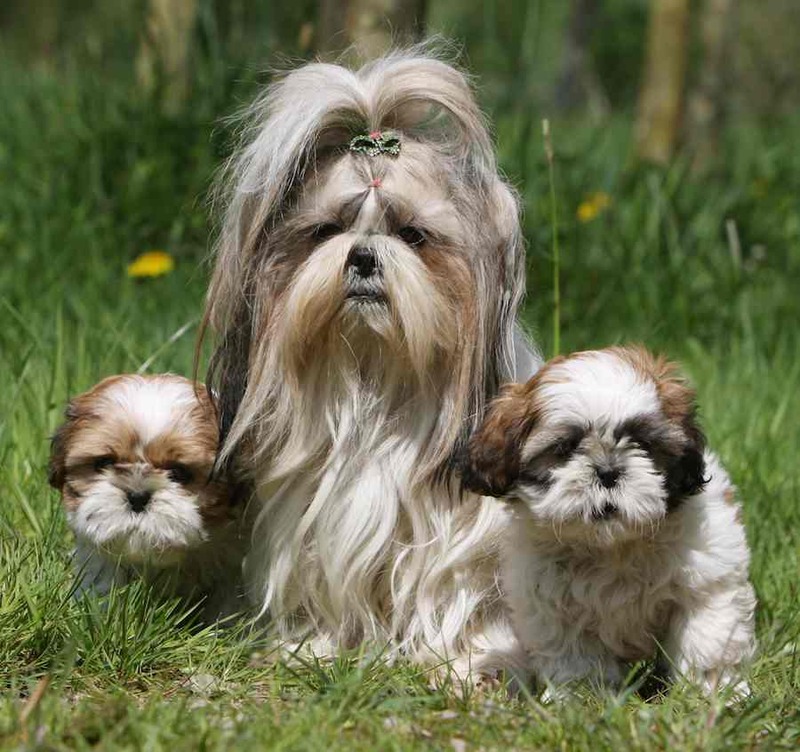 Shih Tzu have a double coat. When the hair is kept long, the shedding hairs don’t fall to the ground or furniture, but tend to shed off into the coat itself, which is brushed out during regular grooming. Shih Tzu is an ideal clean pet dog for an apartment. 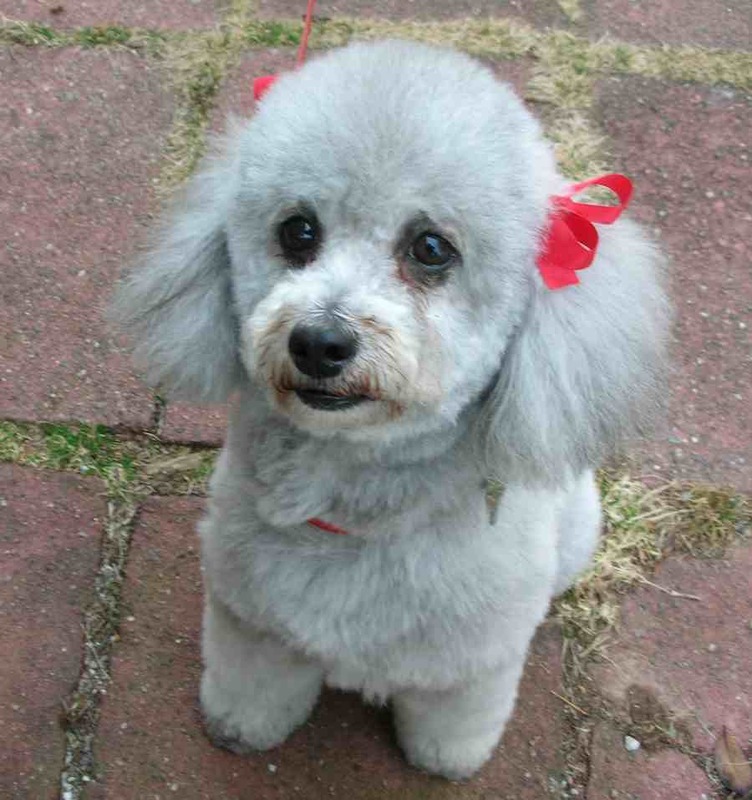 The Poodle is remarkably intelligent and hypoallergenic breed of dog. Highly responsive, they are said to be one of the most trainable breeds. Sweet, cheerful, perky and lively, they like to be with people. Delightful, very amusing and keen. It is a hardy breed, and can be stubborn leading to issues with training. 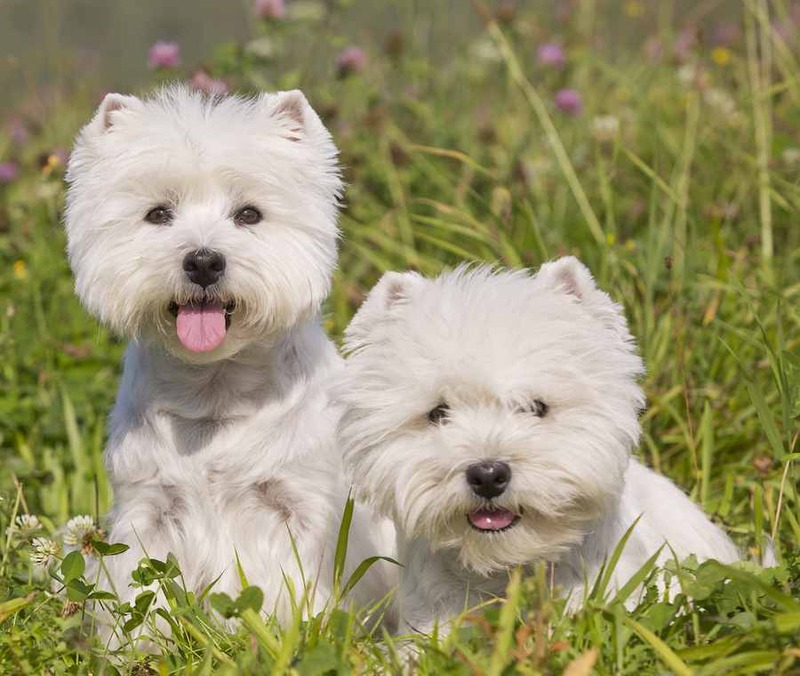 A Westie may need to have its training refreshed on occasion during its lifetime. Having a typical terrier prey drive, it tends to be highly interested in toys especially chasing balls. It does retain the instincts of an earth-dog, including inquisitive and investigative traits. The Westie’s coat is fairly easy to groom and sheds little to no hair. 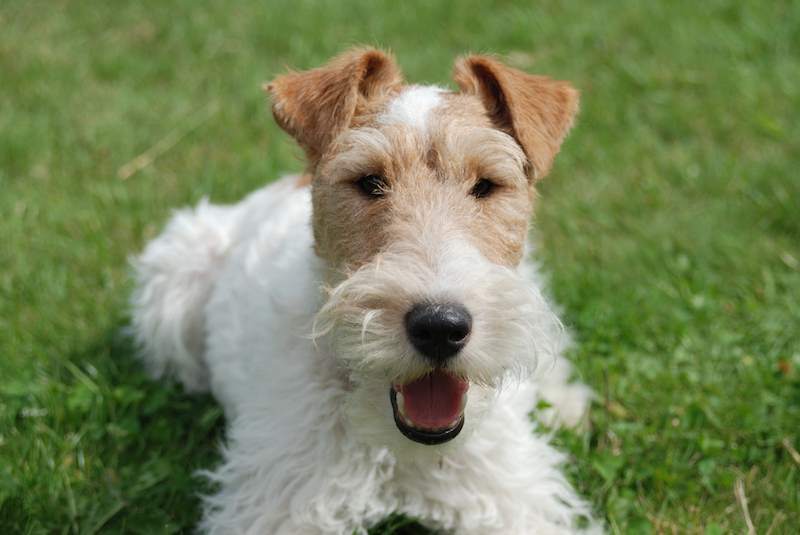 Two of the wire fox terrier’s most distinctive traits are its energy and intelligence. It has a low threshold for boredom and requires stimulation, exercise and attention. The wire fox terrier is a companion animal that requires near-constant attention. Most of them enjoy swimming. Wire Fox Terriers do not drop their coats several times a year like shedding breeds. 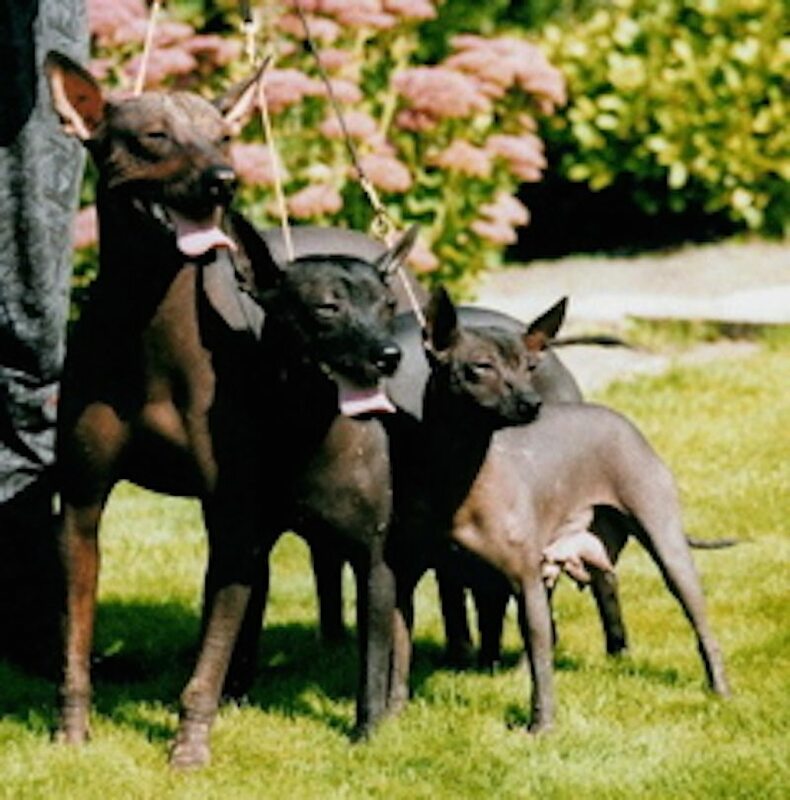 The Xolo is native to Mexico. Archaeological evidence shows that the breed has existed in Mexico for more than 3,000 years. With no shedding, no dander and no fleas, the hairless variety is very clean and suitable for allergy sufferers. 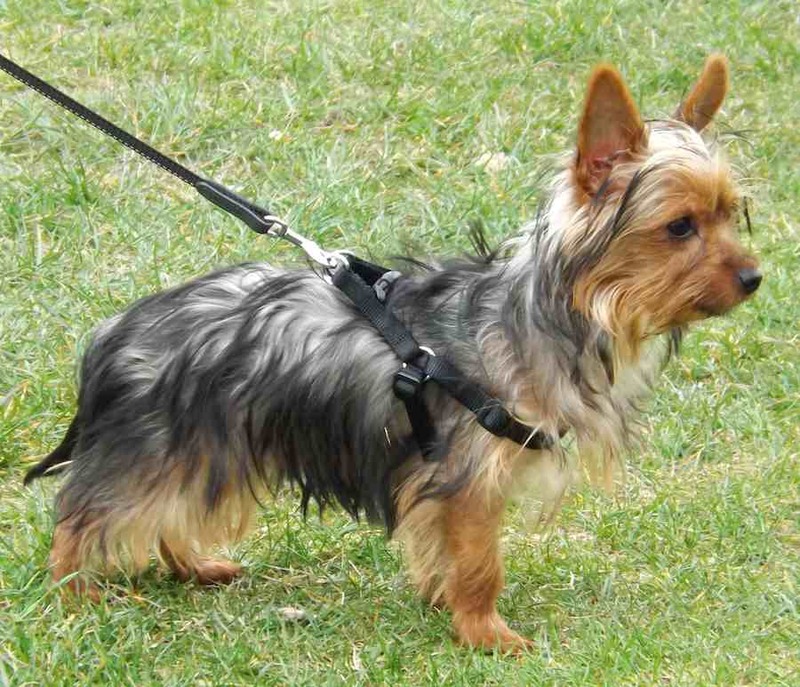 The typical fine, straight, and silky Yorkshire Terrier coat has also been listed by many popular dog information websites as being hypoallergenic. In comparison with many other breeds, Yorkies do not shed much, only losing small amounts when bathed or brushed. 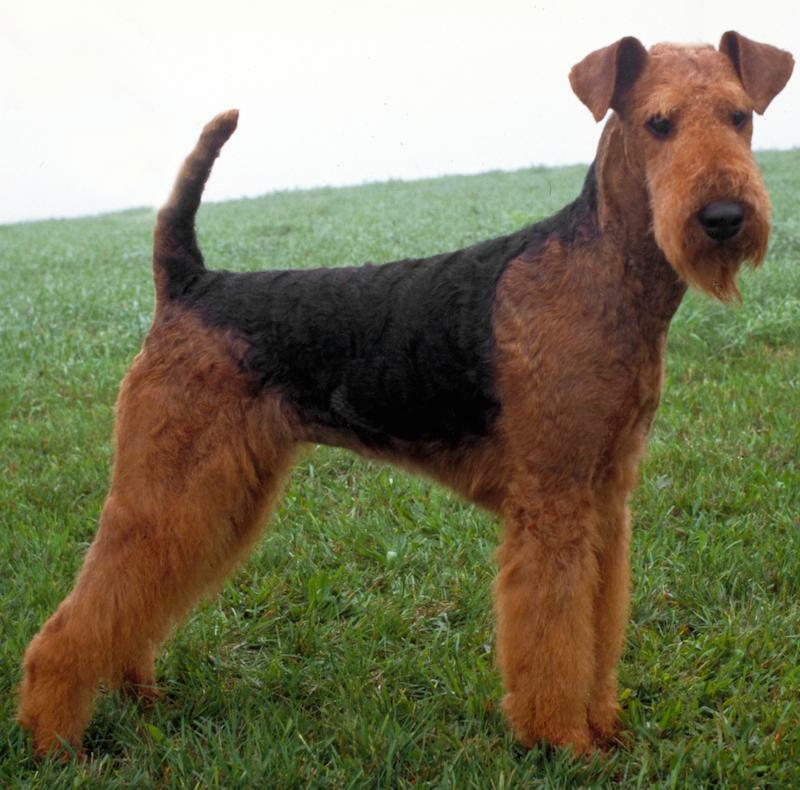 The Airedale Terrier, also called Bingley Terrier and Waterside Terrier, is a dog breed of the terrier type that originated in the valley of the River Aire, in the West Riding of Yorkshire, England. Airedales shed very little to no hair at all. They are considered to be low shedders in the dog community. 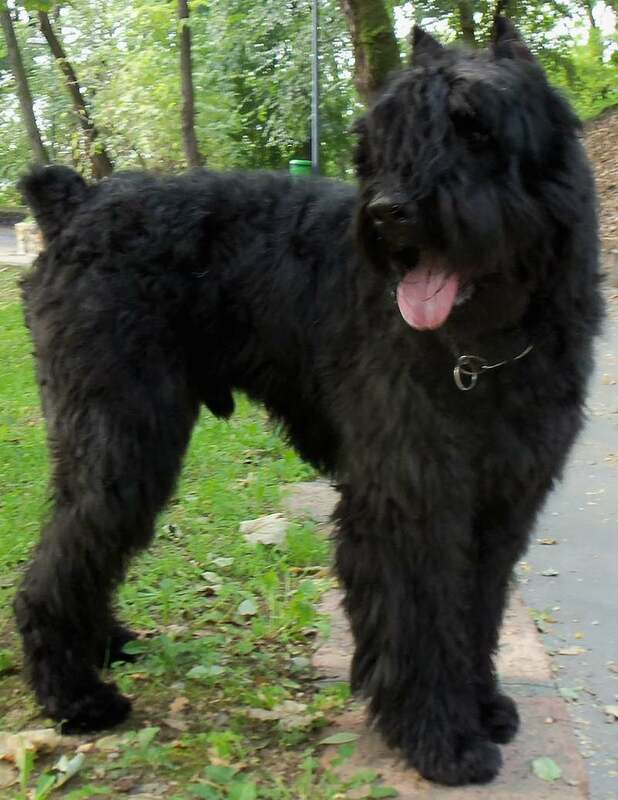 Unique qualities of the Bouvier coat keep shedding problems to a minimum. The longer, harsh guard hairs of the outer coat tend to keep the shedding undercoat from falling to the floor or being deposited on furniture or clothes. Salukis are a clean, low-shedding breed with no doggy odor. 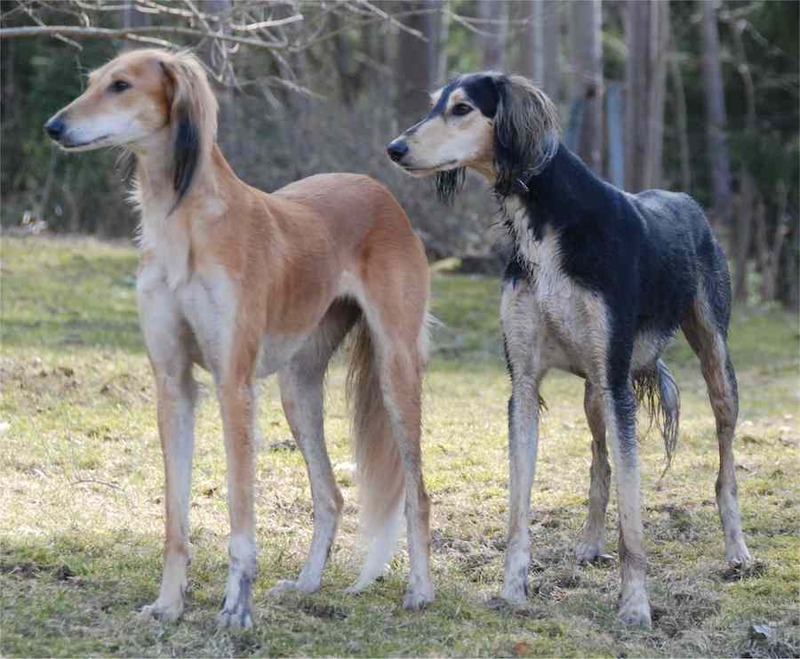 The saluki is one of several breeds that can trace its roots back to the ancient Egyptians. In a culture that considered dogs unclean, the saluki alone was allowed to share the Bedouin tents and was dubbed El Hor (the noble one). 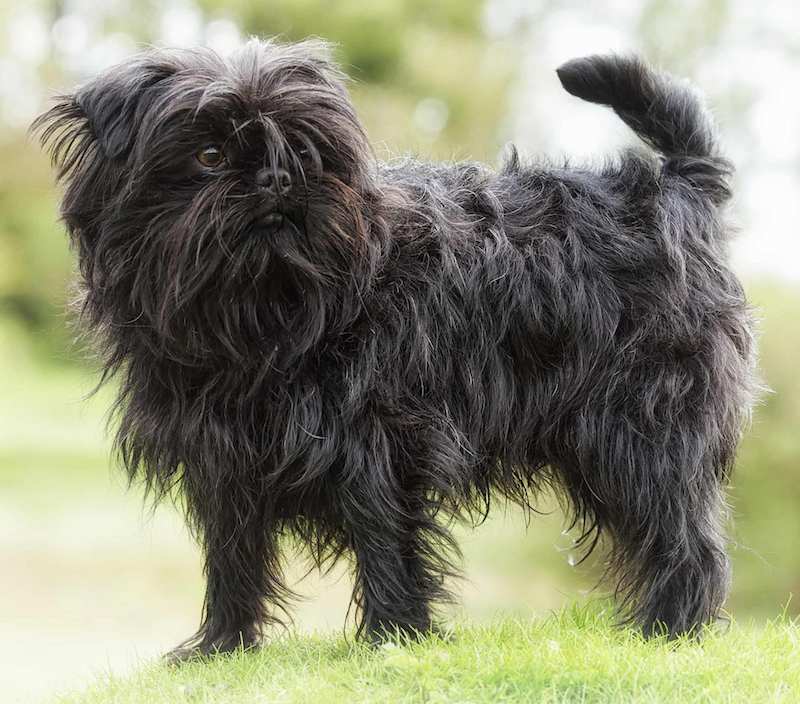 The Griffon has a coarse outer coat and a soft undercoat. This protective coat allows the Griffon to be an effective hunting dog in cold weather and harsh cover. 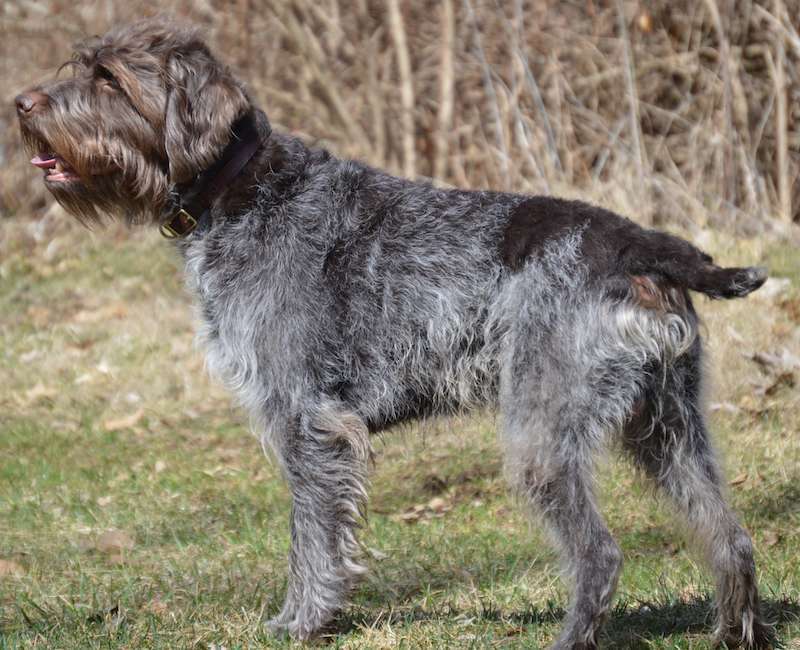 All dogs definitely do shed, but with some breeds (like the wirehaired pointing griffon) the dead hair stays there until pulled out with an easy-to-use grooming tool for that purpose. Shedding is affected by hormonal changes that are tied to photoperiod (day length). When kept mainly indoors, the amount of shed hair is affected by the amount of daylight, which also stimulates hormones and promotes shedding. It is also affected by the temperature of your home and influenced by the pet’s level of nutrition and general state of health. In addition to natural seasonal shedding, a dog may drop coat after surgery, anesthesia, or whelping puppies. Most dog related allergies are caused by dog dander, not the hair they shed. Dander is the dead skin that falls off the dog, depositing itself all over the house and wafting through the air into your nose and eyes in the process. All dogs produce dander, but some dogs create a lot less of it. Low-shedding breeds are considered to be more hypoallergenic, which means they don’t produce as many allergens through flaky dead skin and dander as other breeds do. Dogs also are pollen transmitters and many people are allergic to this powdery substance that helps propagate our trees and flowers. Pet dogs pick it up outside, carrying it home to add to their owners allergy woes. The thicker the coat, the more of this stuff they can carry. Hypoallergenic dog breeds are dog breeds that are more compatible with allergic persons than other dog breeds. Dog Breeds that shed less are more likely to be hypoallergenic, since the dog’s dander and saliva stick to the hair and are not released into the environment. Smaller dogs will leave fewer environmental pollutants containing dog dander and dog allergens (reduced poop, urine and saliva). Small hairless dogs may be less likely to cause allergic reactions because it’s so easy to bathe them and the dander falls off them. Non-shedding breeds are allergy friendly dog breeds that produce less dander, allowing those of you whose suffer from allergies to keep at a very comfortable level, so that you could enjoy raising a cute doggie. There are no totally non shedding dog breeds. However there are dog breeds that shed little to no hair, just like humans do and there are plenty of dog breeds who shed less hair. No matter what kind of dog you have, taking good care of him can help to alleviate some of your allergic symptoms. By making sure your dog is bathed and groomed faithfully, you will rid him of large amounts of dander. In addition, you can make changes to your home, like covering your mattress with a vinyl cover and changing all bedding at least once a week. Carpets harbor large amounts of dust, dander, and other allergens, no matter how often you vacuum, so hardwood, vinyl, or linoleum floors are much better choices for allergy sufferers. Brush your dog daily, outdoors. Use air purifier with HEPA filter. If you are an allergy sufferer and a dog lover, it is possible for you to own a dog and not be in constant allergy-related misery. Consider choosing a breed that may be less of an irritant to your allergies. Or, if you fall in love with a dog that makes you sneeze like crazy, be diligent about keeping him and your house clean. These measures should help to ensure that just about any allergy sufferer can be given the opportunity to share his or her life with a canine companion. Link: Symptoms of Dog allergy; Keeping home clean for dog owners.